FOUR different Mcdonald’s in Mexico for the Shamrock Shake, nada, they looked at me like I was crazy and I had to settle for a Oreo Blend shake. Imagine how disappointed I was when I got to New York, MARCH 19, TWO DAYS after St. Patrick’s, and went to four different locations, and no, one, I mean NO ONE, had the Shamrock Shake. It was freaking travesty. 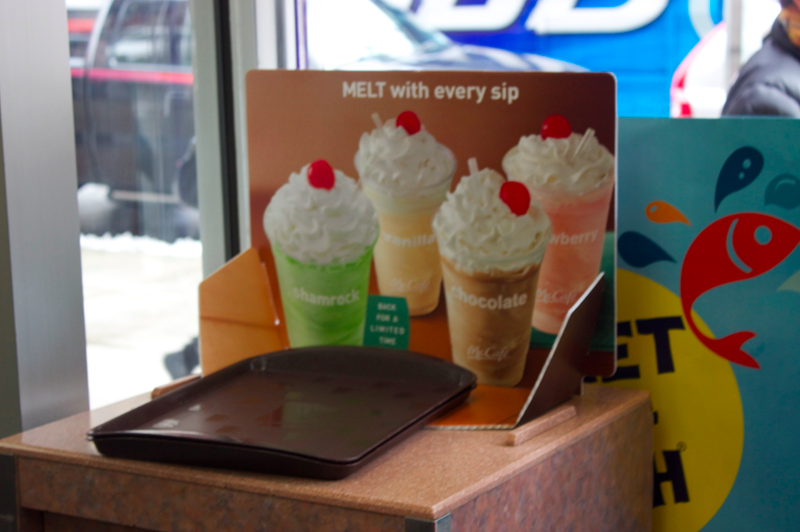 Heck, even one McDonald’s had the sign up FOR the Shamrock Shake, yet no shake there at all. Nothing. I was so upset, so I did come close, at Mel’s Burger’s I ordered a Mint Chocolate Chip shake, it was DELICIOUS, but it was no Shamrock Shake.